Welcome to the fascinating world of Venkatramana Jewels. We are the prominent Manufacturer, Exporter and Supplier of exquisite collection of Fashion Jewellery and Costume Jewellery. 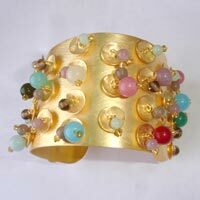 Our range of jewellery includes Metal Earrings, Metal Necklaces, Metal Bracelets, and Coloured Stone Rings. Our Fashion Jewellery items are remarkable in their intricate designs and patterns, sophisticated look, strong body and skin friendly nature. 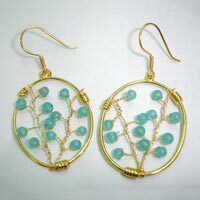 They are made from high quality metals and Jewellery accessories making them durable and strong in nature. Our jewellery has been reviewed and selected by a UK based fashion e-magazine www.fashion-era.com, run by fashion editor Pauline Thomas. Our aim is to serve the clients with aesthetically designed Jewellery that is a trendsetter in the market and hence maintain our leading position as a Costume Jewellery Manufacturer in Jaipur. 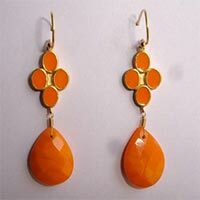 Venkatramana Jewels established in the year 2004 is located in Jaipur. Under the capable leadership of our CEO Mr. Pradeep Kapur, sky has been the limit for our growth.